Most of you would return home everyday to be with your parents, spouse, children and pets. We give you one more reason – You. We provide your space. Your perfect house is nurtured by our expression of your lifestyle where every brick is cemented with integrity, trust and sensitivity to life. We realize you value happiness above all, in that sense we are much like you. 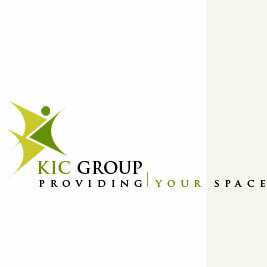 We are the KIC group, one of the leading real estate developers in Kolkata. We were one man’s dream in 1982; today we aspire to be your imagination. At our core is a young and experienced professional team committed to deliver excellence in all spheres of realty development. Having transformed various parts of the city including – Bhowanipore, Theatre road, Ballygunj, Lake gardens, Southern Avenue, Gariahat, Shyam Bazaar, Lake Town, E M Bypass, our endeavour is to amalgamate our deep rooted experience with contemporary trends to constantly increment our repertoire. Our existence is indebted to our clients, to their family and to their society. On one hand we strive to provide best and most consistent infrastructural development on a pan national scale, while on the other we have our ear to the ground listening to your needs and aspirations. Responsible contributions to society include hospitals, schools, social and religious work, homes for the aged, environment friendly practices and tree-planting is the least we do to stay in touch with our principles.